They told us to borrow against ourselves, take out loans and “invest” tuition into their colonized higher education SYSTEM. This would help is they said. You’ll get a great job with this piece of framed tree bark. Then you graduate and realize THEY aren’t going to pay you much more than minimum wage to do what they told you cost hundreds of thousands of dollars a year to learn. In other words: THEY RIPPED YOU OFF. They told you to punch in and out of work and give what you can to our 401ks, at least what little we get to keep after debt and bills. This money will come in handy and you “will” get to retire. But first you have to give them what they demand. A percentage of money you barely even have. They forgot to mention that amongst themselves, the bankers call 401k folks the “suckers at the table.” When the market crashes, your savings go with it. Not the bankers profits they stole from you. They sold us a sandwich and said it was 100 percent real white meat. Hint: It’s not! They said everyone will prosper until infinity, even though our planet’s resources are finite. Hint: Everyone isn’t prospering, just THEM. They’ve been lying to you since you were a small child. They’ve been selling you dreams in little pieces at a time like your favorite drug dealer. And YOU still think that THEY HAVE YOUR BEST INTEREST AT HEART. That’s why you’re still afraid to fall into the cracks of the system. You still envision THEM holding a safety net underneath you. When the reality is far more sinister. The system is not a safety net, it is a steam roller; and you would be blessed to slip in between one of the cracks on the roller as it attempts to crush you and the same dreams THEY SOLD YOU. 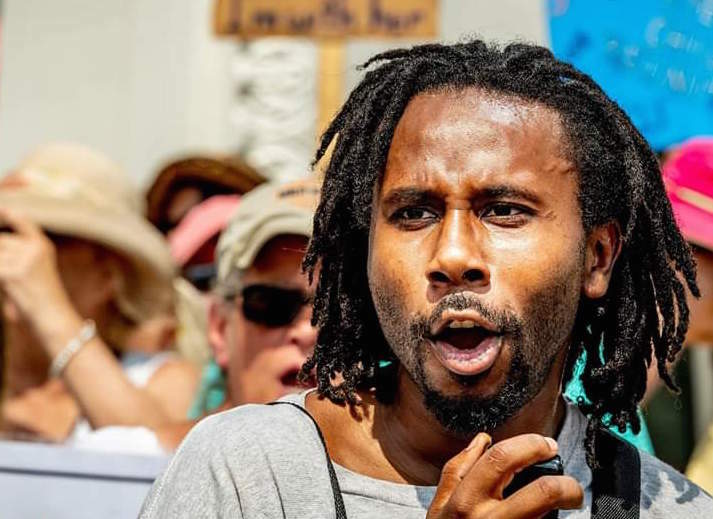 Desmond Abrams, 26, community organizer.